Yaskawa Electric Corporation (head office: Kitakyushu, Fukuoka; Representative Director and President: Hiroshi Ogasawara) is pleased to announce that it has begun full-fledged operations at Yaskawa Solution Factory, a state-of-the-art next-generation production plant at its Iruma Plant (Iruma, Saitama Prefecture), Motion Control Division. 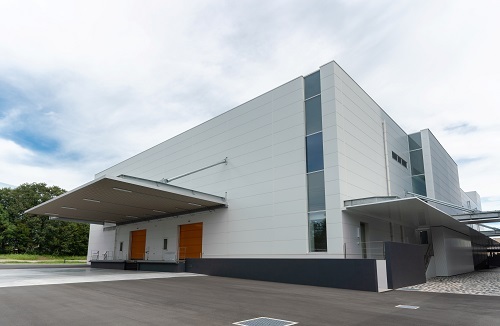 Yaskawa Solution Factory will manufacture the Σ-7 AC servo drive series, the main product for the Motion Control business, as a flagship plant for the Yaskawa Group, and will serve as a state-of-the-art IoT validation plant that will visualize manufacturing and operation statuses leveraging artificial intelligence (AI). Yaskawa advocates “i3-Mechatronics”, a new solution concept leveraging digital data management, and is aiming to achieve revolutionary industrial automation as indicated in its long-term business plan, Vision 2025. The conventional plant at Iruma has been developing and manufacturing various servo motors, servo amps, and controllers for more than 50 years, and has taken full advantage of its products—servos, controllers, robots, and AC drives, which are highly competitive in the global arena—to nurture its automation technology. By adding digital data management to this automation technology that it has nurtured as a foundation, Yaskawa Solution Factory will put i³-Mechatronics into practice to establish a manufacturing structure that can respond to increasing needs in a flexible manner. To be specific, Yaskawa will connect the components at the manufacturing site and integrate the process of manufacturing in order to realize comprehensive automation for the production. It will leverage the YASKAWA Cockpit software to merge data with motion control to visualize operation statuses for overall optimization. Furthermore, it will also leverage AI to analyze accumulated big data and provide feedback for evolving the manufacturing processes. Through these initiatives, it will improve manufacturing speed and efficiency threefold, reduce lead times to a sixth of what they had been to date, and achieve dramatic improvements in productivity. The digital data management initiated at this plant is planned to be deployed in turn at other factories. The welfare area, as well as greenification at the Iruma Plant, have also been completed in line with the new development of the Yaskawa Solution Factory, and the company will continue to make further efforts to become an organization that is deeply based in the community.